For nearly 50 years, the Aga Khan Foundation (AKF) has been partnering with communities, governments, and local leaders to harness the best from people from all backgrounds to improve the quality of life. The Foundation’s work is rooted in core values of self-reliance, pluralism, and respect for human dignity. 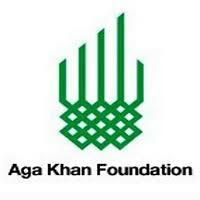 AKF is a member of the Aga Khan Development Network (AKDN), one of the world’s leading poverty solutions networks. The AKDN’s integrated approach makes long-term investments, builds permanent institutions and cultivates an active civil society, impacting tens of millions of people annually in 30 countries. Alongside its sister AKDN agencies, the Foundation implements innovative, community-driven solutions that are based on decades of experience, learning, and evaluation. The Aga Khan Foundation (AKF) is a private, non-denominational, international development agency promoting creative and effective solutions to selected problems that impede social and economic development in parts of Africa and Asia. AKF-Tanzania is part of the AKF-East Africa regional structure that supports programmes in Kenya, Tanzania, and Uganda. In Tanzania, AKF is managing a robust and expanding portfolio of multi-sectoral initiatives that includes programmes in inclusive economic development, health, nutrition, early childhood development, education, and civil society strengthening. AKF has currently operations in Dar-es-salaam, Mtwara, Lindi, Arusha, Mwanza, Morogoro and Zanzibar. The person will be responsible for providing professional property support services to AKF Tanzania’s property operations. Recording any defect in any part of the building found during the inspection and notify those responsible for appropriate follow-up action. Making sure the building is maintained properly including plasterwork, painting, ceilings, floor, joinery, fittings and fire escapes whilst making sure that they are presentable and in working order. Ensuring the machines and plants for maintaining properties are serviced regularly and rectified or replaced if need be. Liaising with the security service provider; establishing and enforcing precautionary policies and procedures. Interested candidates should submit a cover letter, CV (not exceeding four pages) and the names and contact information of three referees before closing of business by 29th March 2019, to Country Human Resources Manager, Aga Khan Foundation, Tanzania, by e-mail to recruitment.akftz@akfea.org. Please mention the title of the position in your email and do not attach any document other than the CV and cover letter.